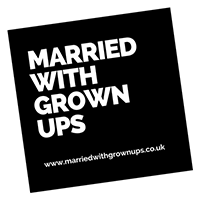 Hi and welcome to Married With Grown Ups. We have our walking boots on and cameras ready capturing our world in photos and words. We're on Instagram, Facebook , Twitter and YouTube so come and join us on our unique wander through life. We like sharing things so, we've started our brand new section: The Wander Years. You can find all the details to some of our favourite places and photowalks, where they are, how to get there and how to make the most of some special places. ​We'd love to know if you go on one of our walks or better still share some of your photos with us.